Earn $13.74 in VIP credit (1374 points)What's This? 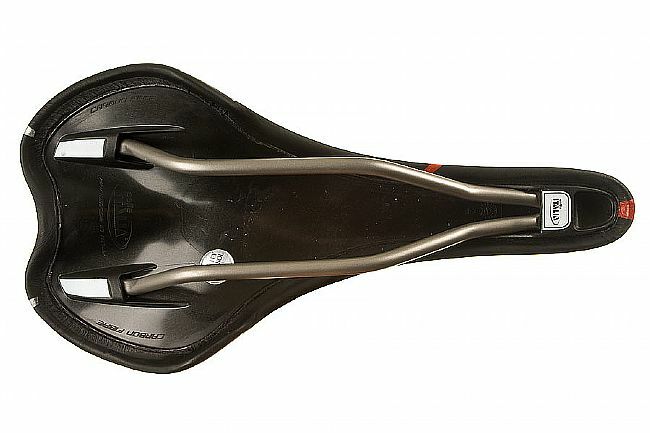 With its blend of performance, comfort, and durability, the SLR Titanium is the dream saddle of any endurance athlete. 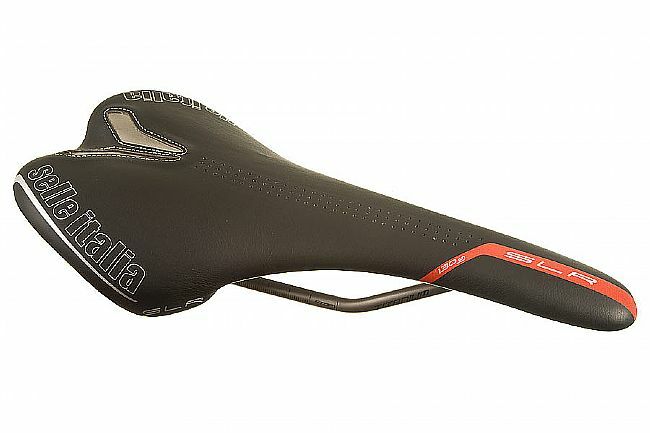 Selle Italia runs strict tests to ensure the best properties of carbon fiber for an extremely lightweight but dependable saddle. Titanium rails further the weight savings without sacrificing strength. The SLR Titanium measures 131mm wide x 275mm long and features a leather cover. Choose from Black/Silver, Black/Red, Black/Blue or White. 130 grams. Extremely light and very comfortable. Priced right compared to other name brands. TT Titanium Tube, not Time Trial! Almost as light as a carbon-railed saddle (actual weight on mine was 148g) without nonstandard rail sizes and worries about durability. Also at a great price. For me, the flat profile front to back is good, allowing changes of position. It's also fairly flat side to side, so pressure is more on the sit bones, less on the center area, actual width is about 135mm. Rather thin padding (that's why it's so light) is not an issue if the basic shape works well for you. You guys are great. You immediately got my order out. It was also great to receive markdowns!!!! I got used to the saddle within a day. It is just the right size and softness that I could as for.